People can be very possessive in sports over their national teams. Over the weekend, an Emirati man went way too ahead in supporting the Emirate’s football team. The 2019 AFC Asian Cup has been taking place in UAE and on the weekend, there was a match between India and UAE. The Emirati man had Indian workers who were locked up in a cage so that they could not support team India. 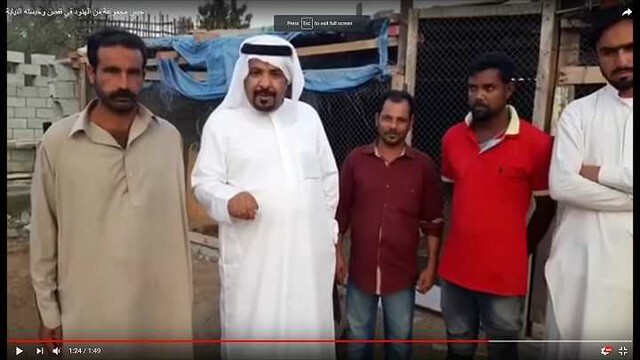 The man filmed a skit where it was seen that his expat workers were locked up in the cage and he was standing outside with a villainous smile on his face. He is seen saying in the video clip that he has locked up his Indian workers so that they could not go and support the Indian team. He wishes that UAE would win the match. He then asks his workers that who they are supporting in the Asia Cup, to which they had the most obvious reply “India”. He then dictates them that they cannot support India against UAE as they are living in UAE and have no rights to support the Indian team. 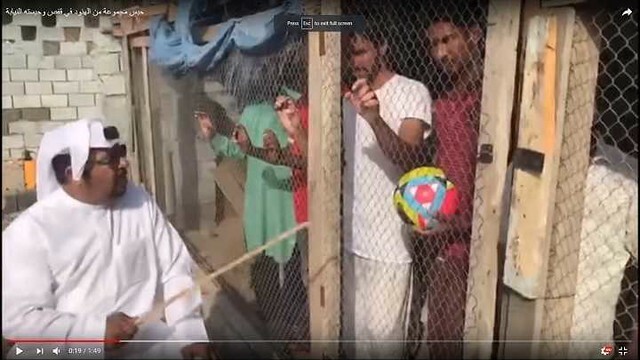 He unlocked the cage only when the men said that they would be supporting the UAE team. The video went viral on social media and soon started to make a buzz. People showed their anger towards such a pathetic and disgraceful act. People said that they were Indians and had full rights to support the Indian team. Expats working here are not duty bound to support UAE team. They are nationals of other countries and have a right to express their support with any team they wish for. No one can dictate others nor punish them nor lock them up. The angry social media users provoked the authorities to take up an action to which the authorities responded positively and timely. Within no time a statement was released by the UAE Attorney General that the man had been arrested and that legal action had been taken against him. He further added that soon after his video was investigated, his arrest warrants were issued and was arrested. His statements were recorded, and his act has been deemed as a criminal act which is punishable under the UAE laws. 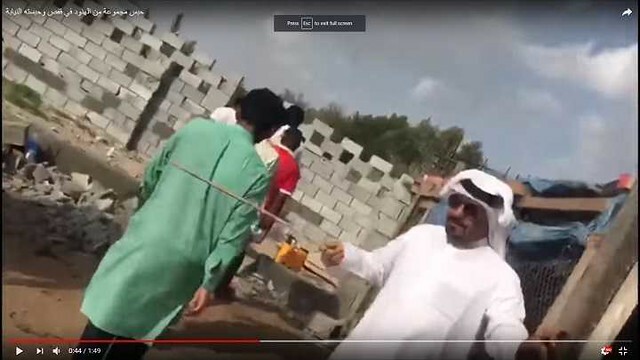 Soon the Sharjah's police department gave forth a statement saying that such videos, which tend to express prejudice, are against UAE laws and those found guilty of such a crime have been detained. If it was only for fun and joke purposes, UAE won’t tolerate it as it is against the values. The individuals responsible for spreading excessive prejudice have been arrested and will get their due punishment. In a statement released by the culprit and the video maker, the man claims that the workers seen in the video have been working with him for 22 years and this video was only for fun purpose. He claimed that he lives on his farm with these workers and even shares meals in same plates. He said he has never beaten up his workers nor did “truly” locked them up. He ended his statement saying that this year is a year of tolerance and urged to understand his statements. However, according to the UAE's anti-discrimination law, there shall be no discrimination on the basis of religion, caste, creed, doctrine, race, color or ethnic origin. If the man is given punishment, he might face imprisonment from 6 months up to 10 years and a fine ranging from 50,000 dirhams ($13,612) to 2 million dirhams ($544,510).